C & P Removal Elixir is a Frequency Enhanced Elixir imbued with Vibrational Energy Transmitting Instructions to your body to initiate a novel approach to dealing with Non-Functional, Unwanted Virus and Free Radical infested Cells and Pathogens of all types. These instructions are picked up by the Lymphatic System to destroy these Non-Functional Cells, Viruses, Bad Bacteria, and Fungi and remove them from your Body through either the Skin or the Cell Wall of your Colon. The Lymphatic System is a network of Tissues and Organs that help rid your body of Toxins, Waste and Unwanted materials from your body. Its Primary Function is to transport Lymph, the fluid containing Infection-Fighting White Blood Cells, throughout the body. The Lymphatic System consists of the Tonsils, Adenoids, Spleen and Thymus. This action of C & P Removal Elixir significantly increases the ability of your body to eliminate the Pathogens and Non-Functioning, Unwanted Cells in it. 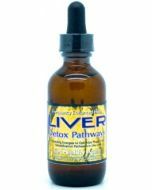 Consequently the action C & P Removal Elixir enables your body to reduce the burden on your Liver, the Kidneys, and also reduce the burden on your Immune System as well. The effect of C & P Removal Elixir are so powerful, and adds a unique process that enables your body to better Eliminate Non-functioning Cells and Pathogens of all types. Phargocytosis: Phagocytosis is chiefly a defensive reaction against infection and invasion of the body by foreign and disease causing substances called Antigens. Activating the Immune System to respond to Antigens. Darkness or Puffiness under or around the eyes. 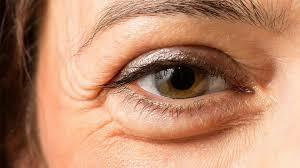 You may also see growths, wrinkles or discoloration in the right or left eye bag region. At times lack of sleep may cause the under eye swelling; but if after several days of rest and it is still the same or worse over a long period then your hunch could be spot on. There are of course other crucial signs as well: We shall be publishing these in our blog later. Deep Furrow or Blemishes between the eyebrows. Red, Burning, Watery or Irritate eyes. 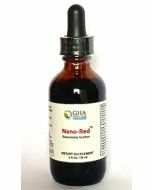 Elixirs have been used for 100s of 1000s of years by our forefathers with resounding success, ions before western pharmaceutical medical system was introduced in twentieth century. Squeeze directly into your mouth and swish around for about 60 seconds before swallowing. One squeeze of the dropper bulb fills the tube about halfway. Do not eat anything or drink for about 10 to 20 minutes after taking. C & P Removal Elixir should not be dispensed with or come into contact with any metal spoon or cup. Use either hard plastic spoon or enamel or glass spoon. When taking with other Elixirs, they can all be squeezed into the glass or plastic cup and taken. When using 5 bottles per month, take 4 squeezes 3 times per day.